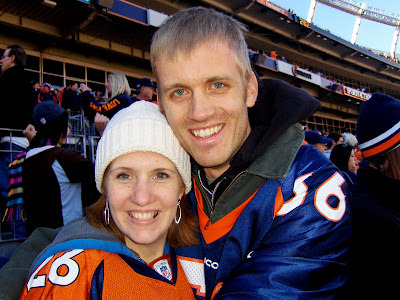 Paparazzi Love: Dec. 11 Go Broncos! What a great game that ended up being! With something like 5 min. left in the 4th quarter we were down 10-0. Then it was Tebow (and Prater-the kicker) time! Such a fun overtime victory and we were at the game. Thanks for coming with us Chad! That's the kind of game even I actually would have liked to have been at..glad you could go!